A beautiful fashion design infographic can not be done without various stylish fashion design elements. 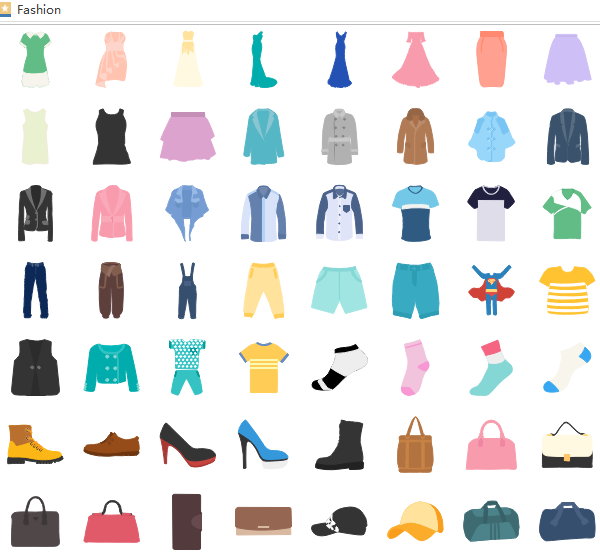 Launch Edraw infographic software and go to libraries, then you will find abundant fashion design elements there for users to drag and drop. All the elements for infographic are easy to edit. Users can just customize the colors, sizes and rotate on the basis of different requirements. Never mind if you can not find the fashion design elements you like in the built-in libraries as there is a set of drawing tool prepared by Edraw under Home page. 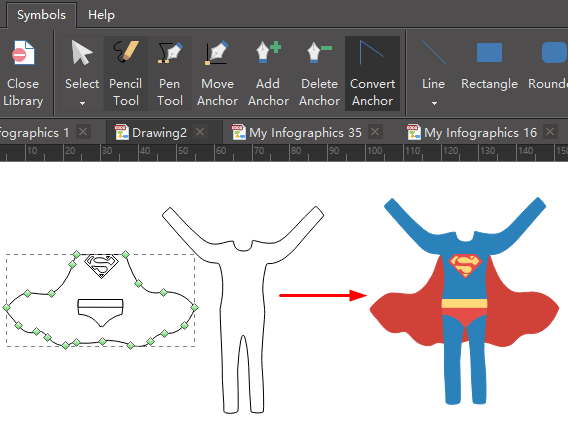 Just click Symbols and choose a proper drawing tool to create the elements you want. Below is an example of fashion design elements application. Welcome to download it and create your own fashion design infographics. Want to use the above fashion design elements in your infographics? Download Edraw Infographic Maker! It includes a large variety of fashion design shapes which are easy to modify. Design a wonderful infographic is just a few click away. Try it now!